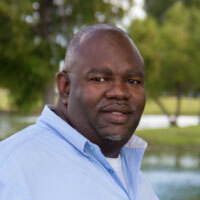 For Earl Alexander, being the College Connections advisor for La Marque High School is like a dream come true. As a La Marque High graduate and a graduate of College of the Mainland, this position gives him the opportunity to give back and share his personal, professional and educational knowledge with students from the community and schools that helped to nurture his success. After leaving COM, he earned a bachelor’s degree in marketing from the University of Houston (Main) with a minor in radio/television, which led to employment in accounting. Now the only thing he wants to be accountable for is student success.